Forget about oil or gas – you should be worrying about the less discussed but far more concerning fact that the world is running out of clean, drinkable water. I wrote this article while in Kathmandu. Nepal’s capital and largest city has a severe water shortage. Even though all homeowners pay a fee to the government to get water on tap, supplies run only once a week for a few hours. Desperate residents are then forced to purchase water from private suppliers. While this is affordable for richer people, it’s a big problem for the lower and middle classes. For many in the developing world, water is really the difference between prosperity and poverty. More than a billion people around the world have no reasonable access to fresh water. Most of the diseases in developing countries are associated with water, causing millions of deaths each year (a child is estimated to die from diarrhoea every 17 seconds). Given all this, we have to come up with a solution to global water use fast, before water scarcity becomes a major cause of international conflict. The vast majority of our water is found in the oceans. Only 3% is fresh and can be used for farming and drinking, and in any case most of this is frozen in glaciers and polar ice caps. That means just 0.5% of the Earth’s water is accessible and, of this, more than two thirds is used in agriculture. If we’re going to cut back on our water usage, we have to focus on making our farms more sustainable and efficient. With the global population still growing, we’ll need to produce ever more crops using less water, in less agricultural land. Worldwide, just over a third (37%) of the land that could be used to grow crops is currently used. Potential farmland is available, but it’s not developed due a lack of infrastructure, forest cover or conservation. A lack of land isn’t really a big problem as of now – but water is. So how to grow crops using less water? One option would be to find a sustainable way to remove salt from our (essentially infinite) reserves of sea water. The farm in South Australia pictured below uses energy from the sun to extract seawater and desalinate it to create fresh water, which can be used to grow crops in large greenhouses. Such farms are based in barren areas, and the plants are grown with hydroponics systems that don’t require soil. Growing crops like this all year round would significantly reduce freshwater usage in hot and dry regions, but the cost of setting up these greenhouses remains an issue. Water shortages would also ease significantly if farmers could simply use less water to produce the same yield. Easier said than done, of course, but this is especially important in drought-prone areas. Plant scientists around the world are busy identifying genes that enable plant growth in arid, dry conditions. For example, what is it that makes upland rice grow in dry soil while lowland rice requires well irrigated paddy fields for growth? Once the keys to drought tolerance are identified, they can be introduced in crops through genetic engineering (and no, this doesn’t involve injecting food with toxins as suggested by a Google image search). Farmers traditionally bred drought tolerant crops through the slow and painstaking process of selection and crossing over many generations. Genetic engineering (GE) provides a short-cut. A recent study identified diverse root architecture systems in different chickpea varieties. Future studies hope to identify genes that make some roots efficient at capturing water and nutrients from dry soils. Once a genetic factor is identified, scientists are able to directly deliver the gene that helps plants to capture more water. A key factor for drought-tolerance in plants is the plant hormone abscisic acid (ABA), which increases plants’ water efficiency in droughts. But ABA also reduces the efficiency of photosynthesis, which reduces plant growth in the longer term, and as a result crop yields decrease. But plants didn’t always have this trade-off: modern crops have lost a key gene that enabled early land plants like mosses to tolerate extreme dehydration. This enabled early plants to colonise land from freshwater around 500m years ago. Modern desert mosses also collect water through their leaves which helps them to grow in dry conditions. This is the big challenge for plant scientists. To engineer crops that can be grown with minimum irrigation and that will eventually help relieve water scarcity, we’ll have to reintroduce the dehydration tolerance systems which many “higher” plants have lost but things like moss have necessarily retained. 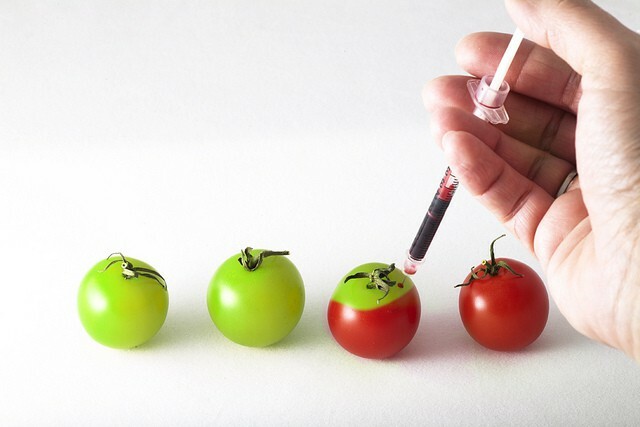 Genetic engineering remains controversial even though extensive scientific studies report GE crops available in the markets are safe for consumption. This is partly just a communication failure. But the fact is we will eventually need to use all the tech available to us, and GE crops have too much potential to ignore.